(Have a 10th BSSC flyer)! Please note a new abstract submission deadline – 30 January 2015! The Baltic Sea traditionally will be in the focus of the coming 10th Baltic Sea Science Congress, as it is unique opportunity for direct and indirect interdisciplinary mingling of the Baltic Sea researchers. However, this time the attention will be wider and beyond the borders of the Baltic Sea region. Future of the European regional seas is of the same importance for everybody of us, as we should be responsible for the part of the Earth we inhabit. Coastal seas – towards a better understanding. Comparative and comprehensive studies in oceanography, geology and biology, as well as on coastal – open sea interactions and multiscale dynamics, including results from the Year of the Gulf of Finland 2014. A healthy marine ecosystem: how to measure it? Studies on ecosystem health and biological responses to various environmental stressors, innovations in Baltic marine ecotoxicology, and on their use in assessing the good ecosystem state/status. Keeping climate change in focus: ecosystem impacts, mitigation and adaptation measures. Oceanographical, geological and biological studies assessing the past and future impacts and consequences of climatic variation on marine ecosystem. Research on Baltic Sea scale mitigation measures of climate change, such as CO2 geological storage. Observation, monitoring and forecasting of the Baltic Sea’s status: The new generation. Studies on new technical achievements and innovative solutions which increase our understanding and management of the Baltic Sea. Spatial marine ecology in support of ecosystem-based management. Spatially-orientated (including the related temporal aspect) studies that scale the relative influences of human activities and their synergistic and cumulative effects on the structure and function of the marine ecosystem. Just ice and stones? – Updates of geological research in the Baltic Sea area. Reports on IODP Expedition 347 “The Baltic Sea Basin during the last glacial cycle” and of the studies on paleo-coastlines of the Baltic Sea and Stone Age coastal settlements. A viable ecosystem for a sustainable society. Interdisciplinary studies on innovative tools for efficient governance of Blue Growth and comprehensive planning and ecosystem-based management of maritime activities, e.g. integrated coastal management and maritime spatial planning; the valuation and management of marine ecosystem services and societal benefits. Information on conference venue will follow. Please visit the website for updated information. 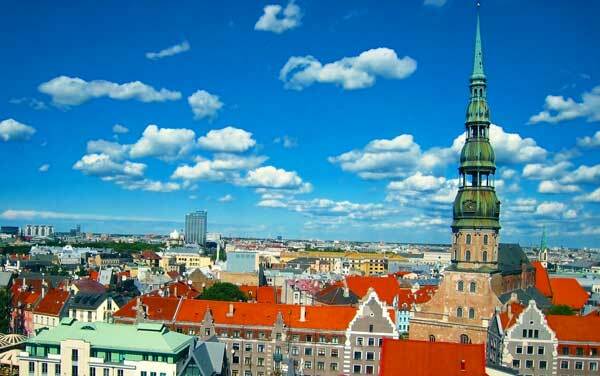 You can reach Riga by bus, ferry, train and plane. Bus and air lines are the most numerous, travel by ferry and train is limited by quite few directions. More detailed information will follow, please check this website for updated information. The registration with payment option of registration fee will be open on 2 January 2015. If you will be submitting an abstract, we assume that you wish to be a participant of the conference. However, your registration will be complete only after the payment of the fee. Authors of the abstracts will be notified timely on the status of their submission, thus it will be possible to use the lowest fee option. EUR 350 for late registration.